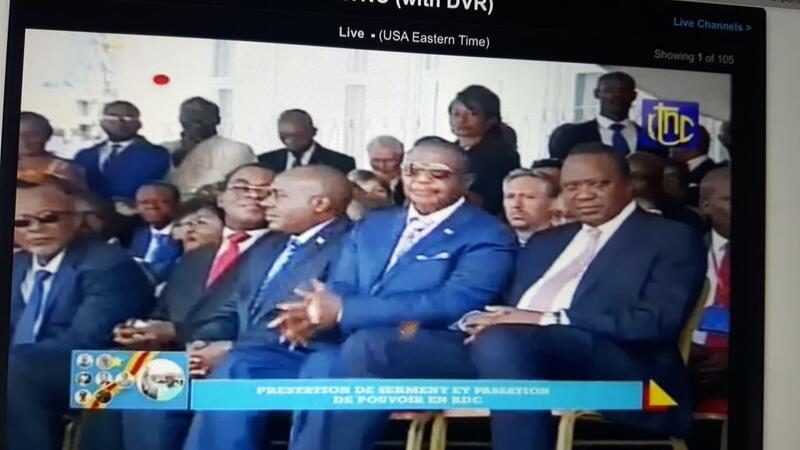 President Uhuru Kenyatta, on Thursday, showed up alone during the inauguration of Felix Tshisekedi‘s inauguration in DRC. According to reports, the state had invited 17 other Presidents including Tanzania, CAR, Zimbabwe, Malawi, South Africa, Ethiopia Sudan, Sudan, Egypt, Sierra Leone, Haïti among others. The ceremony took place at the state’s Presidential Palace in Kinshasa. Former Prime Minister Raila Odinga and Wiper leader Kalonzo Musyoka also attended the inauguration. 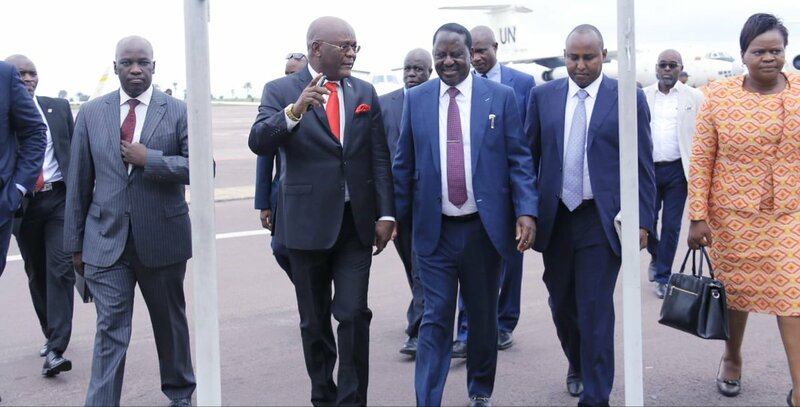 Raila was attending the event in his capacity as the African Union Envoy and not a Kenyan political figure. 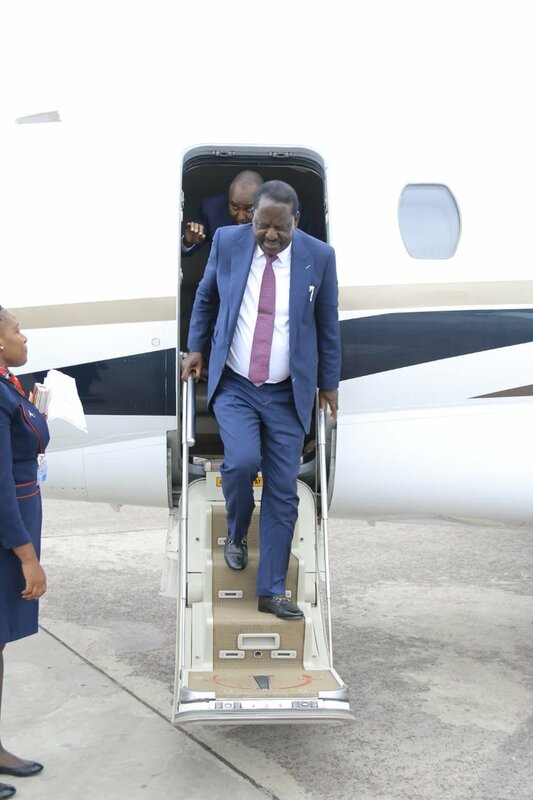 The three were accompanied by Suna East MP Junet Mohamed and his Homa Bay counterpart Gladys Wanga together with senators Ledama Ole Kina and Amos Wako. This was the first time, since 1960, that the conflicted country ushered in a new president in peace. Tshisekedi takes over from long term leader Joseph Kabila. Raila and Uhuru had both congratulated the new president-elect after he clinched the seat. “Congratulations President-elect Tshisekedi on your victory in the recent General Elections. Your victory is a portrayal of the confidence of the people of the Democratic Republic of the Congo in his ideals, leadership and vision for the future,” posted Uhuru on media. “Congo’s success is Africa’s success. Long live Africa,” acknowledged Raila.